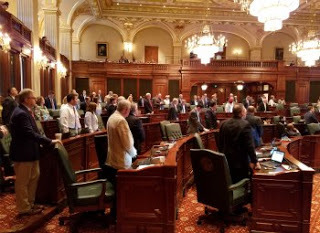 Every two years, with the start of a new General Assembly, Speaker Madigan requires two critical votes from Democrat members. The first, their vote to re-elect him Speaker of the House, which happened on January 9th. The second, in order to maintain near-complete, singular control over the legislative process, he requires them to vote to adopt his proposed set of House Rules. These are the rules that govern how the House of Representatives operates for the next two years.